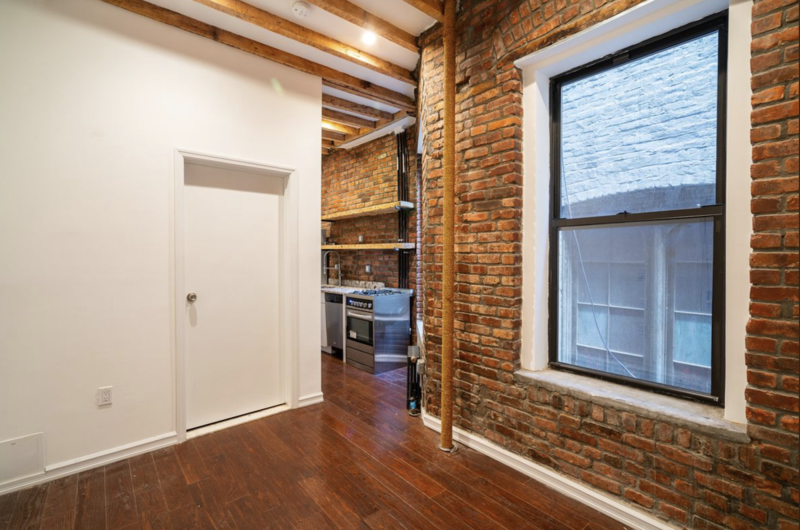 The next tenant of this Chinatown two bedroom is going to have to really like exposed brick. 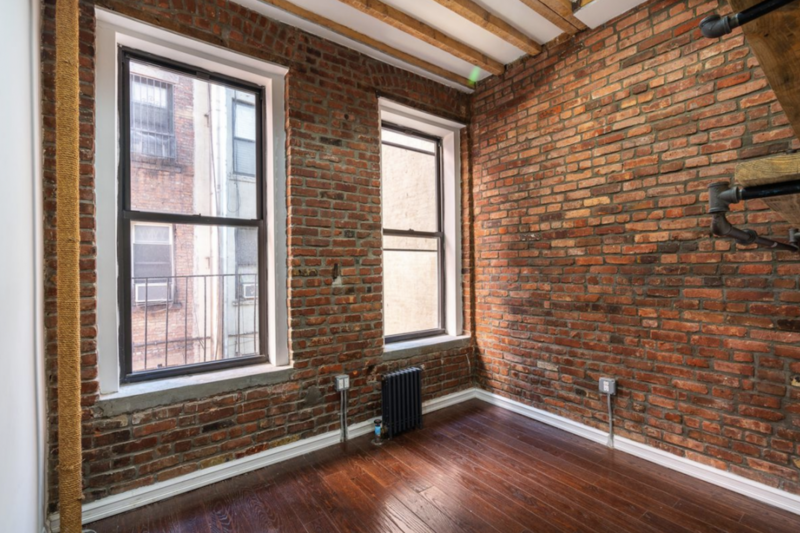 Few things scream “NYC apartment” more than exposed brick. Whether it’s a full wall or just a small section, it definitely adds charm, serve as an effortless design element, and can be a welcome break from bland, white apartments. 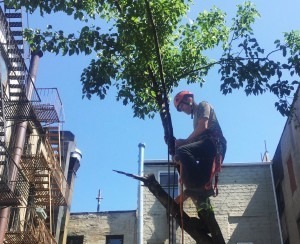 Living with exposed brick can come with a few drawbacks, but even still, they remain a sought-after amenity for many renters in New York City. If you’re one of them, this two-bedroom rental for $2,975 at 28 Forsyth St., #3R, in Chinatown might be worth a look. 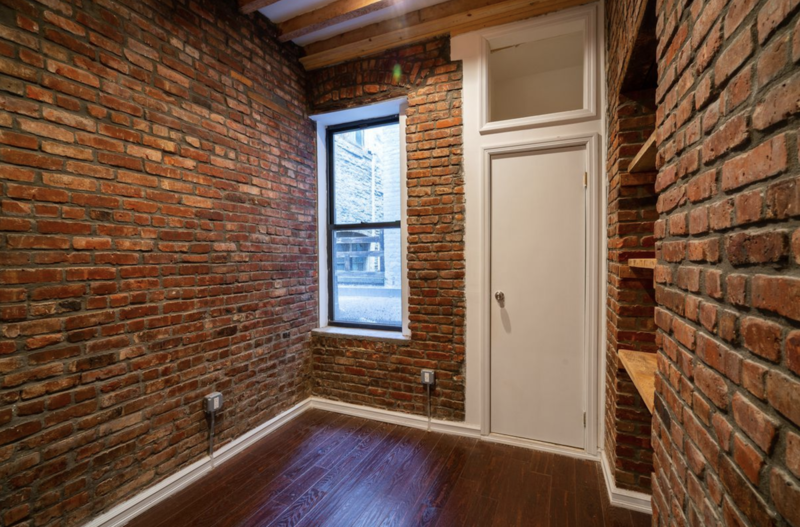 However, this newly renovated apartment has quite the abundance of original exposed brick throughout, so it may pose the question: Is there such a thing as too much exposed brick? 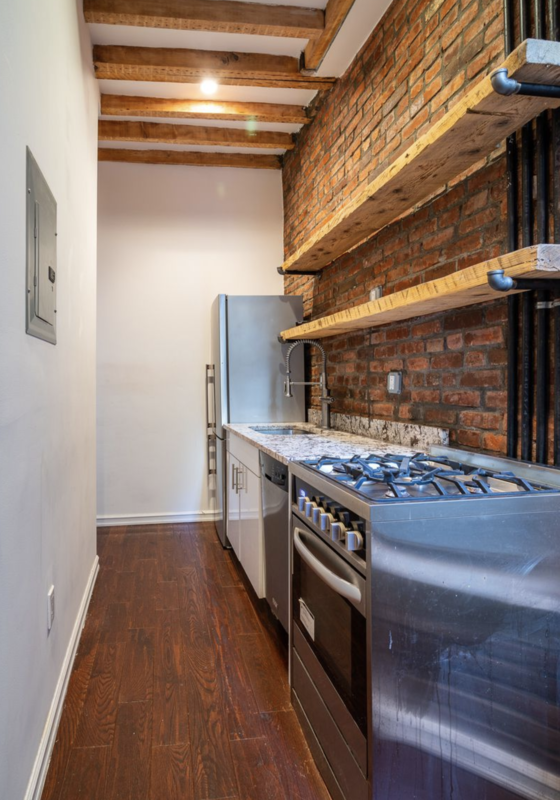 This no-fee apartment is in a walk-up building and is about $200 above the median asking rent for two bedrooms in Chinatown, but well below the going two-bedroom rate in nearby Little Italy, Two Bridges and the Lower East Side, according to StreetEasy. In addition to the exposed brick, the apartment has exposed original beam ceilings, and new fixtures and hardwood floors throughout. 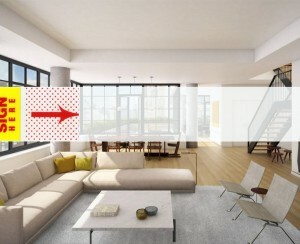 The living room has two large windows that look out onto another building, but appear to let in a good amount of light. The wall opposite the windows appears to have sturdy-looking wood-and-pipe open shelving. The small galley kitchen has a large window, stainless steel appliances (including a dishwasher, which is not always a given in a rental), and the same open shelving found in the living room. Aside from the cabinet under the sink, that’s pretty much it for kitchen storage, so keep that in mind if you have a lot of cooking gadgets. 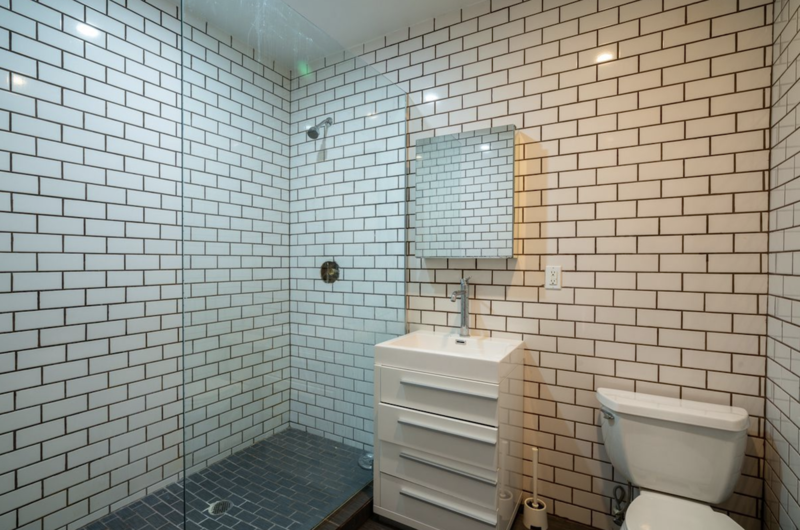 According to the listing, this rental has one and a half baths, but only shows the full bath, which looks to be quite large by city standards. It is the polar opposite end of the color spectrum found in the red brick-filled rest of the apartment as it is almost completely—maybe even nearly blindingly—white, from the floor-to-ceiling tiles to the toilet and vanity, which looks to have four drawers. The listing also says that both bedrooms have closets and can fit queen beds, but only one bedroom is shown. Its walls are, you guessed it, exposed brick, and there are built-in wood shelves and a decent-sized window. Next to the window is a door with a small storage space above it that might go out to the “small outdoor space” mentioned in the listing but is also not shown. The listing indicates that outdoor space is accessible by both bedrooms. 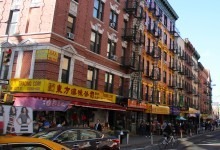 The dining options near this two bedroom are endless with Chinatown’s close proximity to Little Italy and the LES. Destination eateries Katz’s Delicatessen and Russ & Daughters are both just a 10-minute stroll. As for transportation, both the Grand Street B and D trains and East Broadway F train are about a six-minute walk away, while the Bowery J and Z station is about eight minutes. Two other tidbits about this Forsyth Street two bedroom: The Manhattan Bridge and its northern arch and colonnade is practically outside the front door, and Saint Barbara Greek Orthodox Church is next door.